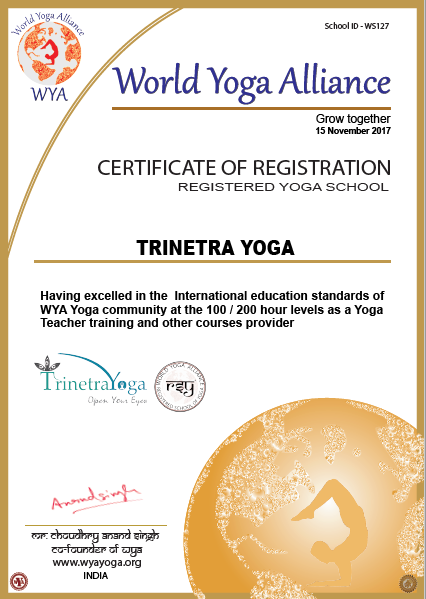 At Trinetra yoga our core values and the fundamental beliefs spins around the quality of teaching and following international yoga standards by World Yoga Alliance with best of curriculum and preparing International teachers having deep insights of various aspects of yoga. The LED classes by our experienced teachers in all the courses add a lot of value to students to practice well with the teacher and learn many flows, series and the ideas to understand the nitty-gritty of a perfect yoga session. Asana adjustments are the great tools for the practitioners to grab techniques to get into the pose/asana. Adjustments sessions typically focus on – one on one adjustments with a Practitioner for his/her best learning. 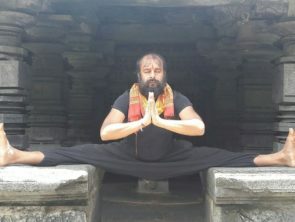 Our Meditation techniques with the details about Meditational aspects, Yoga philosophy, Pranayama sessions, Cleansing techniques, Lessons on Bhagwatgita and various other aspects of Hatha yoga prepares best of teachers who will turn out to be the Masters in Asana and all philosophical and Spiritual aspects of yoga. 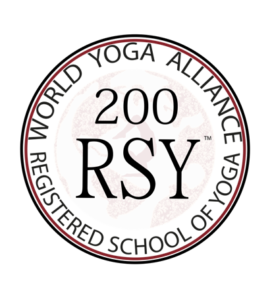 All the courses are taught by spiritual Masters of this field and Grandmaster Piyush. The masters and teachers have the vast amount of teaching experience with international and domestic students. 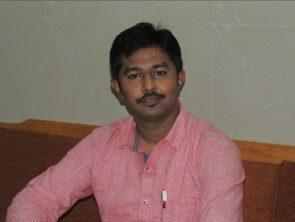 Grandmaster Piyush is also actively involved in the curriculum and the sessions for all students, for various subjects. 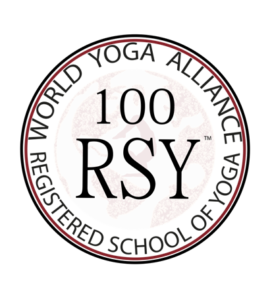 All the schools functioning worldwide including us follow faculty criteria and protocol of WYA (Basically E-RTY 200), (E-RTY100), (E-RTY 50). An E-RTY is an experienced registered yoga teacher approved by World yoga alliance and is eligible to teach the program at our school. Our E-RTY 200 teachers are skilled and equipped with the knowledge to run Teachers training program based on international standards. At Trinetra Yoga – We believe in empowering our students and allowing them to settle themselves on an international Yogic and spiritual platform and hence we have a Special internship program for students who wish to take up challenging role in Yoga in or outside their country. After the certification we offer them the platform to assist us as a Teacher Trainee or Teaching assistant however at any given point in time the YTTC – Yoga teachers training program will be only conducted by experienced international yoga professionals at our school and the Teaching assistants will only get an opportunity to learn the administration activities, course/syllabus designing, and also to take Saturday sessions (over and above Contact and non contact hours of students by their lead trainers), assist us during the theory exam of students and will be involved in retreat activities of the students. Post internship program we will also certify and offer them Internship certificate Duration of Internship: 15 days to 1 month Fee: Not applicable Expenses: All the expenses during internship program have to be taken care and born by the students and Trinetra yoga will not take care of any expenses like food, accommodation, travel and any other expenses. However, we are providing them a great opportunity to be with us and learn a great deal. Contributing and giving back to the society on a greater scale with no monitory gain, is also we believe as a part of our Corporate Social Responsibility process. 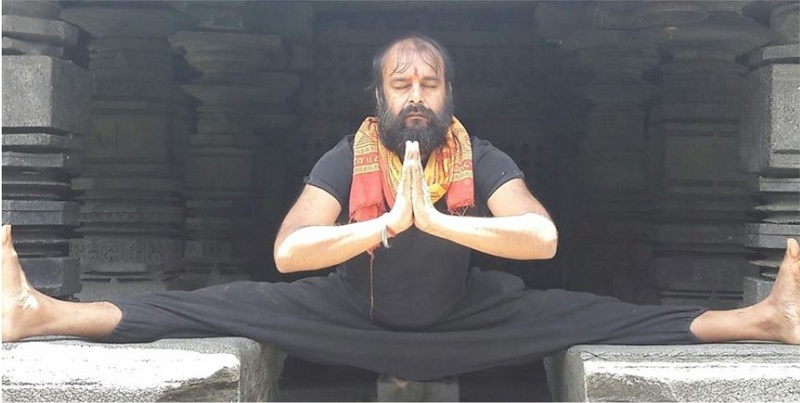 In true sense “Karma Yoga” – The selfless action is what every individual must do in life to serve humanity, Society and country we live in and most importantly to the Universe as a Custodian. 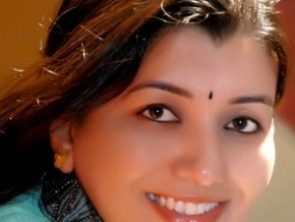 The higher energies are not in Sky but in our Karma’s – Our Actions – Our deeds, that brings transformation and add value to the life of millions of human beings and the entire world in totality. At Trinetra Yoga we are blessed to get associated with 1 Orphanage of Mysore and that’s the threshold of a new era for us. This association is valuable for us to serve and Teach Yoga to Orphan kids who were left alone at their kindergarten stage by the destiny. 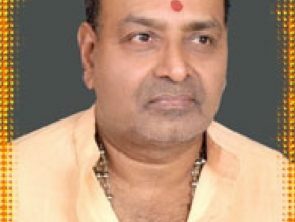 Our goal is to empower these energetic and pure souls and give them a clear perspective of life and a tool that will help them to survive and sustain in this world by making this as a profession when they grow up and also uplift them physically, mentally and spiritually for their lifetime. Our weekly sessions on different styles of Yoga will be blessed when these young kids will participate in their self-development. 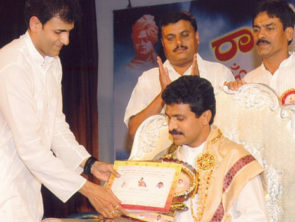 At Trinetra Yoga we believe In giving back to the society – with selfless actions.